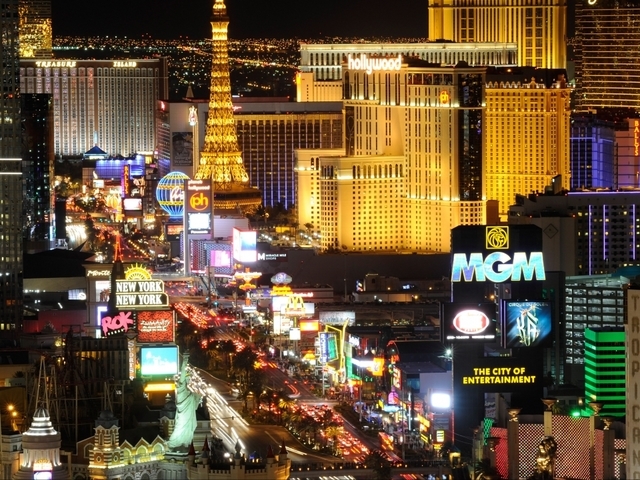 LATEST UPDATE: The Las Vegas Strip reopened to traffic at around 5 a.m. Monday morning. UPDATE: Police have now confirmed that the crash was intentional. According to Las Vegas police, a black woman in her 20s driving a 1996 Oldsmobile drove onto the sidewalk between the Paris hotel-casino and Bally's at 2 different locations. The driver has been arrested and a 3-year-old child in the car with the driver is unharmed. 6 victims are still in critical condition and 1 person has died. Witnesses reported that people tried to stop the driver and that her windshield was completely smashed. She fled the scene and police caught her at Flamingo Road and Koval. She was briefly barricaded in her car and refused to come out for a while before she was arrested. Her vehicle has Oregon license plates and it is believed that she has been in Las Vegas for about a week. The woman was transported to Clark County Detention Center. More information will be released Monday morning. 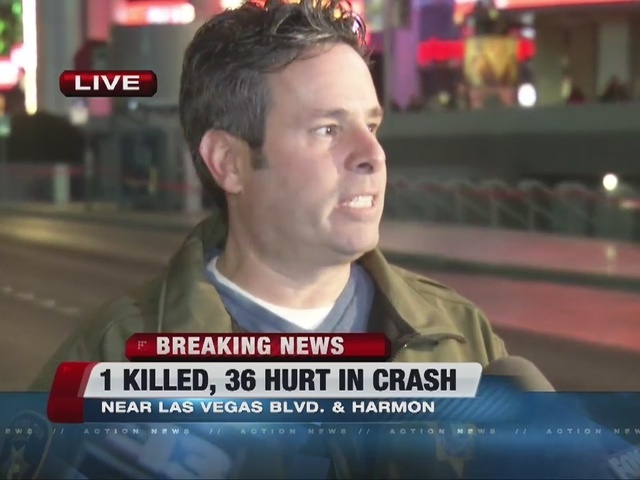 Las Vegas police would like to hear from any witnesses to the incident. 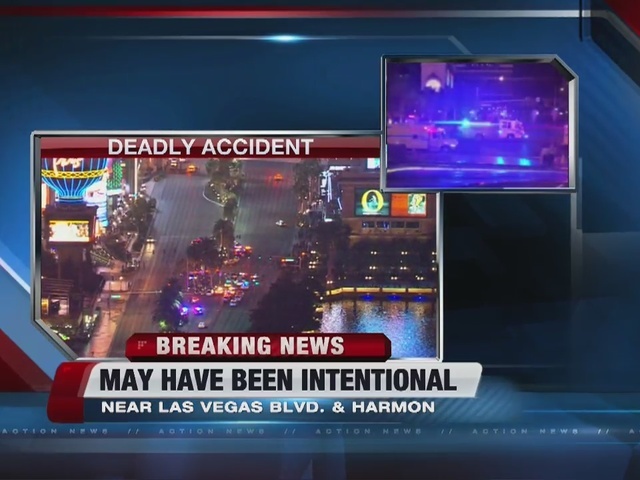 Las Vegas Boulevard is expected to be closed until approximately 6 a.m. between Flamingo Road and Harmon Ave. Motorists are advised to seek alternate routes. 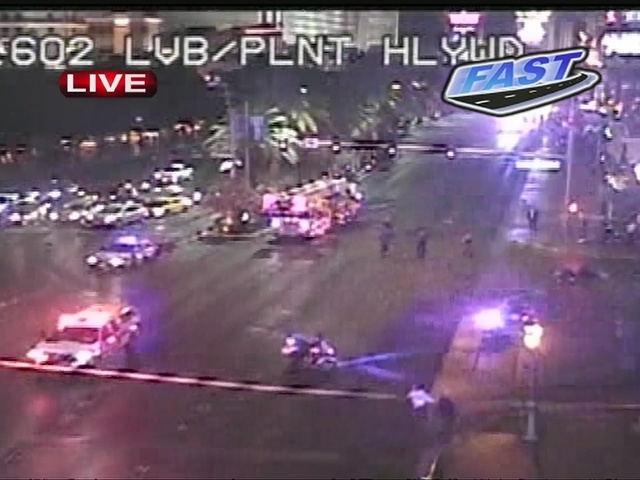 The Las Vegas Strip was blocked off Sunday evening after a car crashed into multiple pedestrians. 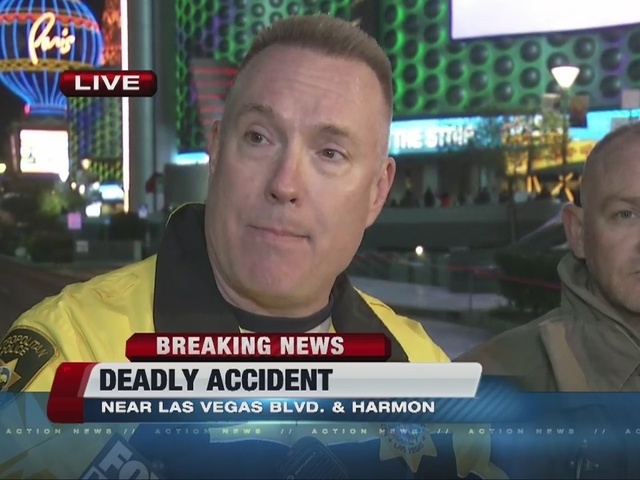 Police said the crash occurred on Las Vegas Boulevard north of Harmon Avenue around 6:40 p.m.
Police confirmed that 1 person is dead, 7 were critically injured and 26 more were also injured in the crash. Four additional people were treated and released. University Medical Center said most of the patients are from Montreal. The driver was detained and being tested for driving under the influence. Driver is detained. Being interviewed and tested for dui. Gov. Brian Sandoval released a statement regarding the crash. 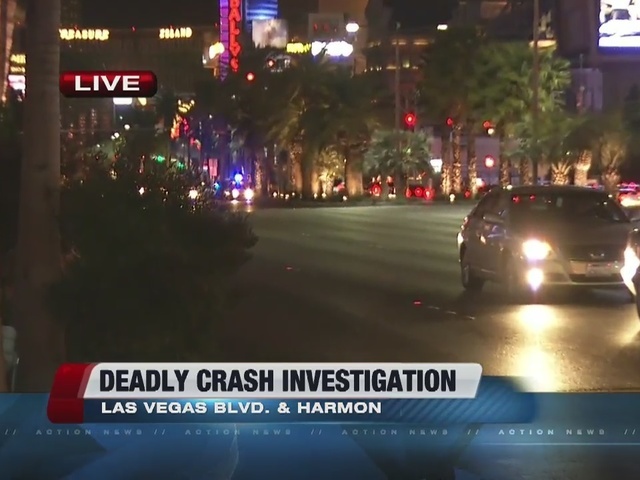 The Strip was closed from Harmon Avenue to Flamingo Road. In that area was Planet Hollywood hotel-casino, where the Miss Universe pageant was being held Sunday night. The I-15 ramps to Flamingo Road are also closed.